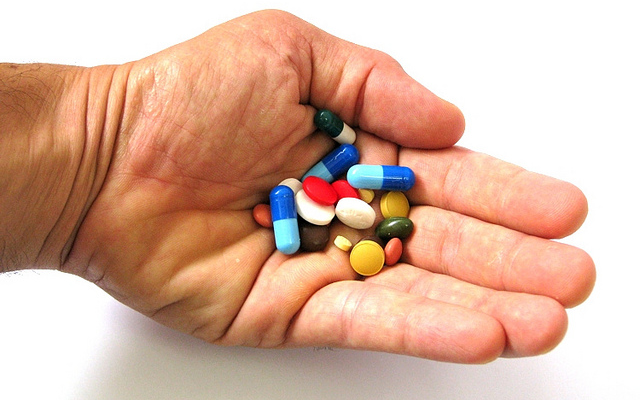 Pharmaceutical companies rely upon the health of their clinical trial pipelines. Investors therefore need to be sensitive to the strength or weakness of their current or potential investments in this regard. Here I propose a simple method by which to get a general feel for the strength of a company's pipeline relative to their peers. Pharmaceutical companies have always been part of my investing universe. Johnson & Johnson (NYSE:JNJ), Pfizer (NYSE:PFE), GlaxoSmithKline (NYSE:GSK) and AstraZeneca (NYSE:AZN) all have their places in my portfolio. Their importance is, of course, hard to underestimate despite the controversies that often swirl around the industry. Throughout the years many of my family and friends (and, likely, yours too) have benefited from the remarkable pharmaceutical innovations coming from these giants and their peers. Yet they are businesses which rely on their future drug developments not only for their research but commercial success. From an investor's perspective, therefore, it is important to understand their future potential pharmaceutical development pipeline. Bottom and top line performance hinges on the strength of this clinical trial pipeline. Yet how do we analyze this pipeline? Ideally a detailed understanding of the drugs under development themselves and the potential market and it size it serves would be ideal. Yet for most of us, this is beyond our particular expertise or time-availability. So what to do? Well, I have a pretty crude yet effective quantitative method by which I do this. Put simply, it revolves around how much historic pharmaceutical revenue at the company each Phase III clinical trial is theoretically expected to "replace." I'll explain this more later. First, let's get a handle on why I choose Phase III trials as my reference point. 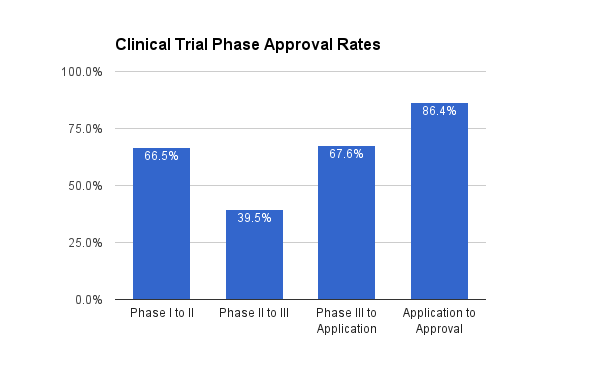 Whilst less than 40% of Phase II drugs get through to Phase III stage, over two-thirds of Phase III drugs pass onto the application for approval stage. 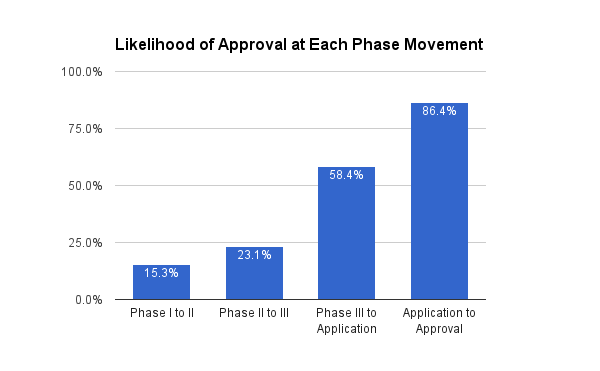 Yet, as is clear, even at the application phase approval is only granted to 86.4% of all applications. 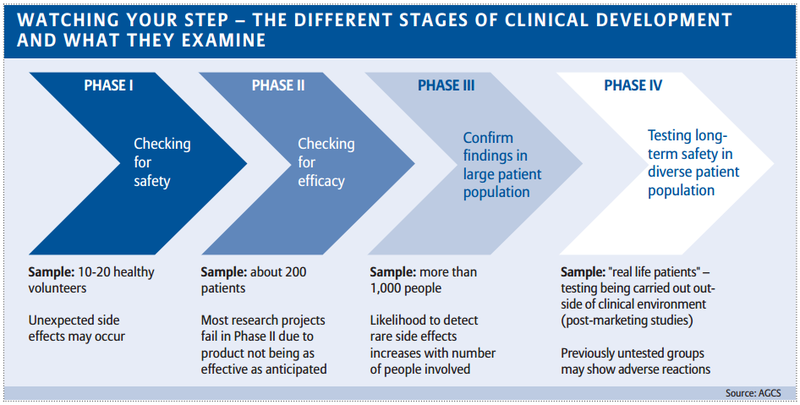 Phase III is therefore a key turning point in a drugs history with regards to its potential final approval. Once into Phase III, it has a better than 50% chance of getting (eventually) approved. There is another (more practical, perhaps) reason for Phase III being a useful focus: availability. Pharma companies have no obligation to reveal their pipeline progress. Yet when they do, the most common data provided is Phase III. Other Phase data is sometimes, but certainly not always, provided. Superficially, it would look as though Company A has the advantage. After all, with 20 Phase III trials underway rather than 16 it looks as though it is more likely to see more drugs pass to the market. A great start. Needless to say, however, this is a fairly bald number on which to assess the value of a company's pipeline from an investor's perspective. Yet this takes no account of the size of the company in the first place. This is where my simple quantitative pipeline analysis methodology comes in handy. As it turns out, last year Company A generated $12,000 in revenue from its pharmaceutical segment. Company B, in contrast, generated just $8,000. Comparing one with the other is, therefore, a little unfair. We need some way to reflect this fact. This tells a different story. Here, each of Company B's Phase III trials is theoretically carrying $500 in revenue on its back. Yet each of Company A's Phase III trials is carrying a larger $600. The revenue replacement burden on each of Company B's Phase III trials is, therefore, much lower suggesting that, in fact, its pipeline is looking healthier than Company A. This is all well and good. Yet there is another adjustment that needs to be made: patent cliffs. Few investors will be unaware of the "Patent Cliff Effect" on pharmaceutical companies top and bottom lines. As older (sometimes blockbuster) drugs come off patent, generics copying the drug (at a cheaper price) means that revenue can drop precipitously. As a consequence, many pharmaceutical companies can see fairly dramatic looking revenue declines as old drugs lose patent protection before the new drugs have had time to take up the revenue slack or, indeed, even come on sale to replace them. Pharmaceutical revenue from the last financial year (Last FY), therefore, may not fairly reflect the size of the company. In this example, Company A has actually seen strong revenue growth (from $8,000 to $12,000) on the back of their recent pipeline successes. In contrast, Company B's historic pipeline has disappointed and they have hit the patent cliff with revenue falling in line as generics compete for their headline-grabbing drugs. Averaging their five-year revenue suggests that, actually, they are fairly equally matched in terms of the size of their cumulative revenue over the last half-decade. 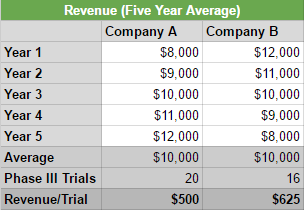 Using this five-year average revenue figure to generate our revenue per trial figure is altered significantly. The result is to drive Company A ahead of Company B in terms of the attractiveness of their current pipeline (at a $500 rather than $625 revenue per trial figure). Why? Well, Company B has already seen a lot of its historic revenue escape out the door, their current pipeline is therefore expected to generate more revenue to replace not only current pharmaceutical revenue but also that already having disappeared in previous years. My simplified pipeline analysis method is, clearly, far from perfect. It lacks any sort of qualitative nuance as to the market of each drug being trialed or indeed its likelihood of passing through to approval stage. Yet it was not intended to do so. It is, by its nature, quite deliberately a basic analysis method. All told, I find it a useful tool to give a reasonable snapshot of the health of a company's pipeline. More detailed pipeline analysis off the back of this would, of course, be beneficial to investors. Yet as a basic analytical tool by which to compare the pipelines of pharmaceutical companies it is just the ticket. Nonetheless, I would very much enjoy hearing anyone's thoughts on how this could be refined. Unless otherwise stated, all graphs and the calculations contained within were produced by the author. Creative Commons image reproduced from Flickr user v1ctor. Disclosure: I am/we are long GSK, AZN, PFE, JNJ. I wrote this article myself, and it expresses my own opinions. I am not receiving compensation for it (other than from Seeking Alpha). I have no business relationship with any company whose stock is mentioned in this article.